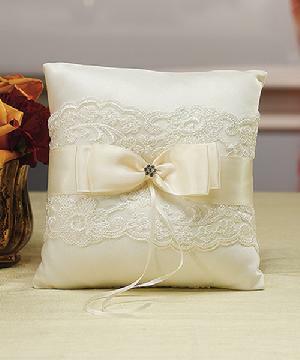 5003 - The delicate lace embellishments and satin bow make this Ring Pillow a perfect accessory to any wedding ceremony. 20cm x 20cm. Available in White or Ivory.